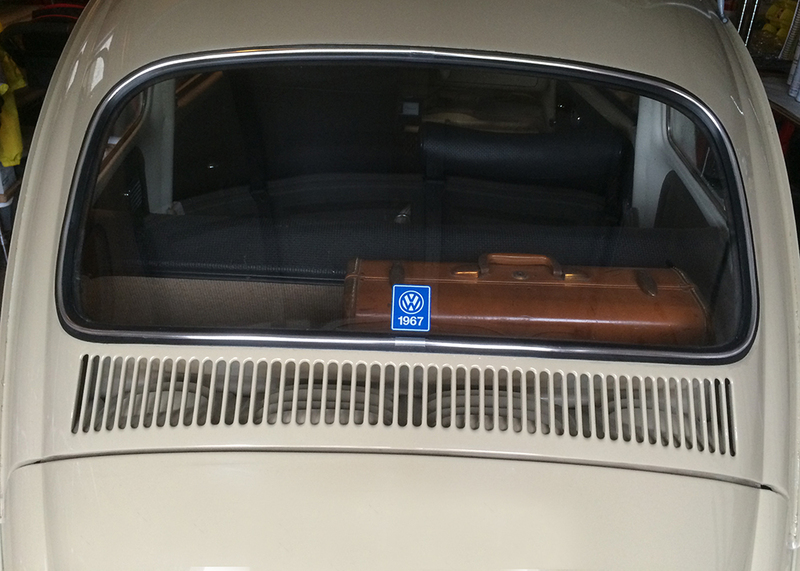 This YOM window display decal mounts inside the glass of your vintage pride and joy. Let the world know you’re proudly driving a 1967 Beetle. Quantities are limited. Thank you for your business and supporting 1967beetle.com. Thanks! It’s really cool to see the interest with the ’67 Beetle. These cars are still out there and I plan on finding all of them. These are really cool decals and I’m happy to have found them. Did VW dealers actually use these back in the day? I don’t recall ever seeing one of these before. From my research, it was something you could purchase at any VW dealership up until around 1976. Also, VW shops had them. I asked my Dad the same thing. It’s a really cool find. Now that 1967beetle.com has a bit of a following, I get contacted all the time with interesting items. Just today, someone showed me a NOS Sapphire V ’67 radio, still in the BOX! Fantastic find indeed. I just ordered 5. One for my ’67, and 4 to keep. Thanks everyone for your business! Currently, just these. I’ll keep you posted. I would love to have half dozen 1959’s. I’ll hop the next flight to Germany and see what I can do. I finally had a chance to clean the inside of my rear windshield, scrubbing it really well, then drying with a towel. 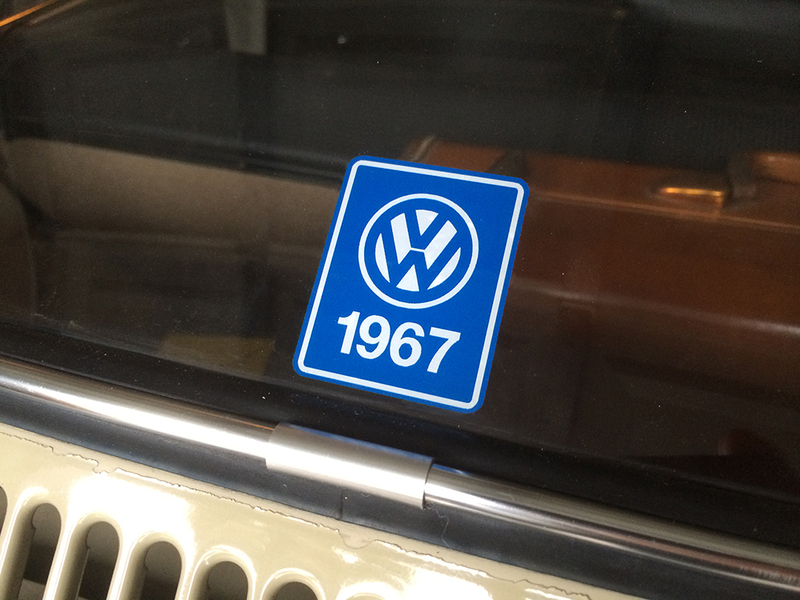 With my old hands, it was a bit tricky, but I got my 1967 Decal centered and affixed. It looks great! Thanks, Eric, for digging around and coming up with these wonderful reproductions! jay! Fantastic! Let’s see a photo.